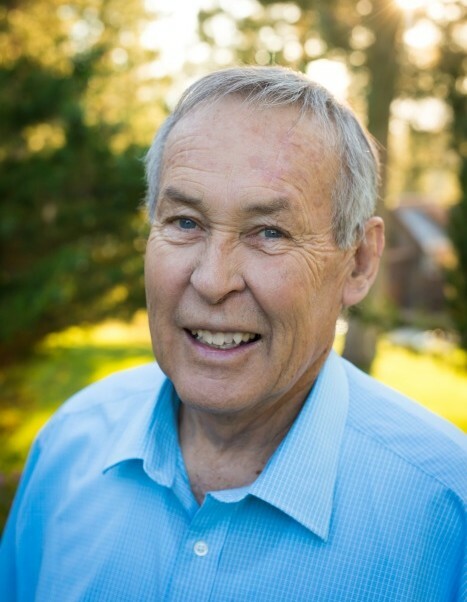 James Brent Hall, beloved husband of Kathy Hall, passed away peacefully in Claresholm on Tuesday March 19th, 2019 at the age of 73 years, surrounded by the ones he laughed with, lived for and loved. Besides his loving wife Kathy, Brent is survived by their children Kiima (Rich) Cree of Calgary, Ryan (Terra) Hall of Lethbridge, Todd (Dusty) Hall of Jacksonville, Florida, Kyle (Annie) Hall of Calgary, Karli (Daniel) Atkinson of Chestermere, Brooke (Josh) Sabey of Claresholm and by twenty-six grandchildren. He is also survived by his sister Joan Greep and brothers Tom (Pat) and Don (Sheila) Hall and their families. He was predeceased by his parents Vern and Gladys Hall and brother Roy Hall. Brent was born in Cardston on July 20, 1945 to Vern and Gladys Hall. He was an active boy who loved school and loved to learn. He took his studies very seriously and went on to graduate from BYU with a degree in French and History and later completed his Masters of Accounting at Utah State. For the majority of his professional career he was a school teacher at JT Foster High School in Nanton teaching a variety of subjects such as French, Computers, Accounting, Social Studies and others. Teaching school kept him young and old all at the same time. Along with teaching school, Brent spent time working as an accountant, travel agent and general manager at the Claresholm Medical Center. Throughout his entire professional career, Brent made many dear friends who he cherished getting to know and spending time with throughout his life. He considered himself truly blessed to have associated with such wonderful people. Brent developed a great love for traveling while serving a mission for his church in France. He loved exploring, experiencing new cultures and rediscovering history. While attending BYU, he was a member of the international Folk dancers troupe and travelled all throughout Europe. Unfortunately, he was unable to pass on his best moves to his children. Brent thoroughly enjoyed spending time with his family and especially his grandchildren whom he spent numerous hours traveling to see basketball and soccer games, dance and piano recitals, holiday concerts and other various activities. His support and love were always felt as he was constantly putting other’s needs before his own. His children loved and adored him, as he was an amazing husband, father, grandfather and friend. He wanted to be remembered as a kind and thoughtful person, a mission he truly accomplished. Relatives and friends are invited to meet with the family at the church on Sunday, March 24 from 5:00-6:00 PM and prior to the funeral service on Monday March 25, between 10:00 and 10:40 AM. A Funeral Service will be held at The Church of Jesus Christ of Latter-day Saints, 4924-3rd Street East, Claresholm on Monday, March 25th, 2019 at 11:00 AM. In lieu of flowers, the family asks that you make a donation to the Kidney Foundation of Canada - Southern Alberta Branch Office (6007 1a St SW, Calgary, AB T2H 0G5) or www.kidney.ca or the Alberta Diabetes Foundation (8602 112 Street, Edmonton, AB T6G 2E1) or www.albertadiabetesfoundation.com. © 2015 a division of Claresholm Funeral Services Inc.